Tires need to strike a balance between traction, comfort, durability, energy efficiency, and overall cost. They should be rotated regularly and replaced when their tread depth gets too low. Most people are familiar with these tire basics, but here are a few facts about tires that may surprise you. The world’s biggest production tire – Large tires are used for big machinery, such as the kind used in mining and drilling operations. The biggest tire produced in the world is the Titan Tire, a giant 63-inch, off-road tire. The tire measures almost 14 feet tall and weighs approximately 12,500 pounds. These tires are used in Canada’s oil sands. The largest tire manufacturer in the world – This distinction belongs to the LEGO Group, which has a massive output of 381 million small tires. Bridgestone is the largest manufacturer of vehicle tires, averaging roughly 190 million tires per year. Cost of huge tires – Cat 797 is Caterpillar’s off-highway, two-axle, mechanical powertrain haul truck. It uses massive 13-feet-tall tires that weigh 11,860 pounds. Each tire, made by either Bridgestone or Michelin, costs $42,500. A full set requires six tires that cost $5.5 million. The most expensive tires in the world – A set of four tires manufactured by an NRI-owned firm in Dubai cost $600,000, setting the record for the most expensive tires in the world. The tires are embedded with 24-karat gold and diamonds. The first car tires – Early cars used artillery wheels, with the tire bolted to the wheel. Tire color – All tires were white during the first 25 years of car production. To make the rubber strong, zinc oxide was added. Zinc oxide had the side effect of making the tires bright white. Today, carbon black is added to rubber compounds, making tires black. Spare tires – Most manufacturers today include only a patch kit and a can of compressed air rather than a spare tire. Some manufacturers equip their cars with run-flat tires. 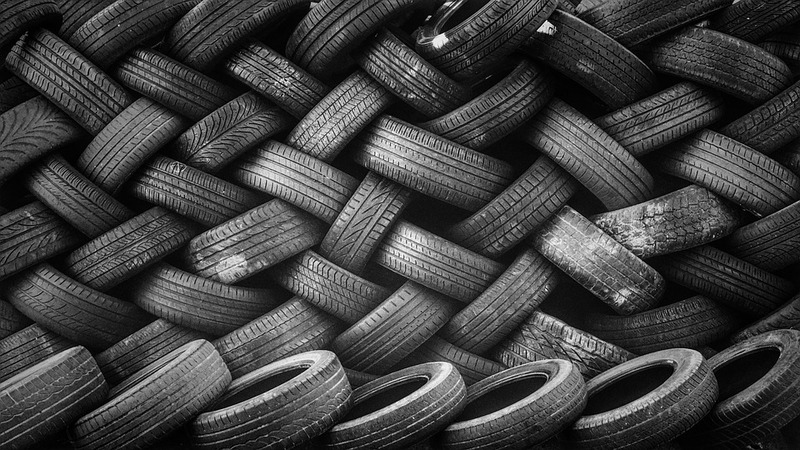 Tires are the workhorses that we depend on to get us where we want to go from day to day, and now you know just a little more about them.